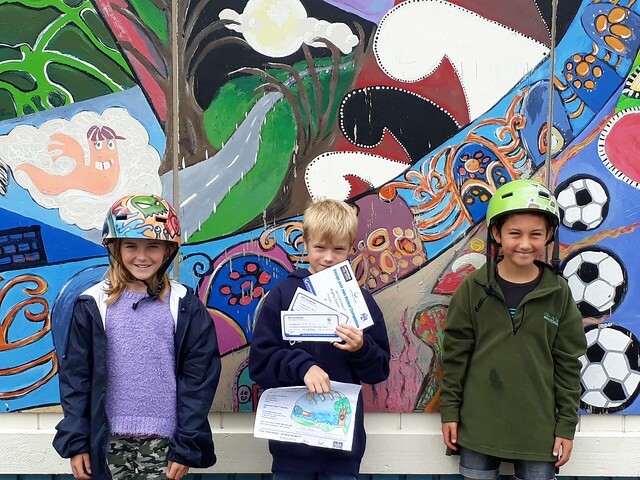 More than 400 students from seven Rotorua primary and intermediate schools entered the annual Bike Month Design a Helmet competition in February. Run by Sport Bay of Plenty, with support and sponsorship from Rotorua Lakes Council and My Barber, the competition is designed to be not just a creative project for the students - it is also part of an ongoing message around cycle safety. From all the incredible entries, eight were selected (the highest number of winners to date), and the winners saw their drawings come to life, thanks to graffiti artist Antz. Winners were from Ngongotaha School, who had 233 entries, as well as Mamaku (56 entries) and Otonga (82 entries). Recreation Advisor (CBOP) Lauren Atkinson says, "We love holding this competition each year and seeing the happy and surprised faces when helmets are awarded." Thanks to everyone who entered, and again to sponsors/supporters Rotorua Lakes Council and My Barber.